We’ve all heard it said that you’re only as old as you think you are, but I’m proud of my three score and ten. This milestone is a privilege denied to many and each new day is a gift to be used well, enjoyed, and savored. I am also aware that 70 is not especially old. 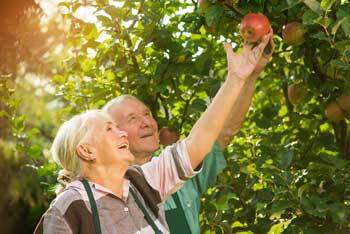 According to gerontologists, it is threshold of our senior years, the midpoint of a stage of life beginning at 65 called the young old to be followed, if we are lucky, by the old beginning at 75, and the oldest old at 85. Still, certain things have been happening to me since I retired, but especially since my last birthday, that I cannot help but think are related to my entry into this new territory. For now, I am taking them as signs that the years have piled up in spite of my efforts to cultivate a light heart and a playful spirit. Pre-recorded telephone calls where the caller, usually a cheerful female voice or a threatening and animated male, warn you that you have or will have a serious age-related problem you hadn’t ever considered. Most of the time I can avoid these annoyances by screening my incoming calls but the other day, unsure of whether or not I might know the caller, I answered. “Did you know, asked the cheerful woman, “that according to our statistics, you may be suffering from chronic pain and there is something you can do about it?” Well, no I didn’t and, thank goodness, I’m not. What I really want to know is who are you and who gave you the right to interrupt this day that I am trying to use well and savor with your so called statistically-informed ideas about my hypothetical pain. Of course, I couldn’t ask that question because she was a robot and, though I was annoyed, I was unable to curb my habit of responding politely with a no thank you when I ended the call. The male version of this kind of call comes with two messages, both delivered in a tone of horror that you might expect from someone warning you that your hair is on fire and it’s all your fault. Both messages begin with a Did You Know, move quickly to a You Could Be Next, and end with an Unless You Act Now and buy our remedy. Did you know how many people over the age of 60 suffer serious falls? Did you know that so many thousands of people over the age of 60 are victims of burglary? No, I didn’t. And, no thank you, I’ll be careful and take my chances. Heightened awareness of television commercials for prescription medications to treat maladies of all kinds, especially those more common in our senior years. In truth, it’s probably not that I am just more aware of these commercials. It’s likely that there are more of them to begin with. Advertisers are smart people and they’ve done their homework to know that people over 65 are the fastest growing segment of the US population. According to statistics from the US Census Bureau, the over-65 crowd comprised 15.2% of the population in 2016 and, with the aging of the baby boom generation, this number is expected to grow to 20% by 2029. Consequently, we are hearing more about medications to reduce blood sugar and cholesterol levels, to thin our blood to prevent heart attacks and strokes, and to ease muscle and joint pain. In themselves, these are good things but how often do we need to be asked if it isn’t time to talk to our doctor about the wonder drug of the hour? Sensitivity to the implied threat in drug commercials. Call me hypersensitive on this one but, after all, I’m a psychologist trained to detect the subtle nuances of verbal and nonverbal communication. So, I naturally cringe when the guy with a clipboard asks the man in the street if he thinks his illness has anything to do with increased risk for cardiovascular disease and the man answers no, only to be told that he’s wrong and in for a lot more trouble than he is already expecting. Of course, there’s a pill for that and the clipboard guy, smiling now, is only too happy to remind him to talk to his doctor about it. Talking to your doctor. My doctor seems like a nice enough guy though we’ve only met once since his predecessor retired last year. Still, three chats per year is a bit more than I’m used to, especially with all the tests that come with them. He tells me that I have to be careful because of a manageable condition of which I am in the “pre” stage. When I told an older friend about this, he wisely remarked that we are all “pre-something” unless we already have it. I get it and I’m not complaining. The idea is to remain “pre-dead” for as long as possible and that’s what doctors are for. People doing more nice things for you than ever. Here are just a few of them: the city letting you ride on streetcars, subways, and buses for half price, people giving up their seats for you when there’s standing room only, merchants offering reduced ticket prices for movies, museums and restaurants, a neighbor using his snow blower to help to help you clear the snow from your driveway. It’s a relief that not all the signs of getting older are annoyances but it does make me wonder how the guy who offered me his seat on the streetcar knew my age. A compulsion to write essays about growing older. We all have a story to tell and there’s always another chapter.